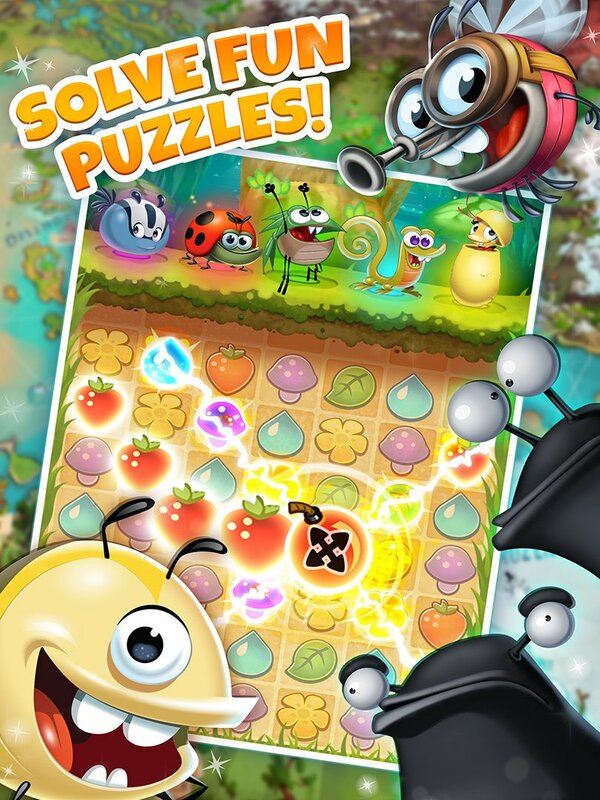 There are plenty of mobile puzzle games to choose from, so what makes bug-themed brainteaser Best Fiends stand out from the crowd? With so many free puzzle games clamoring for attention on the various mobile app stores, it can be hard to know which games are best, which games provide the most fun family play and which are sensible with their in-app purchases. 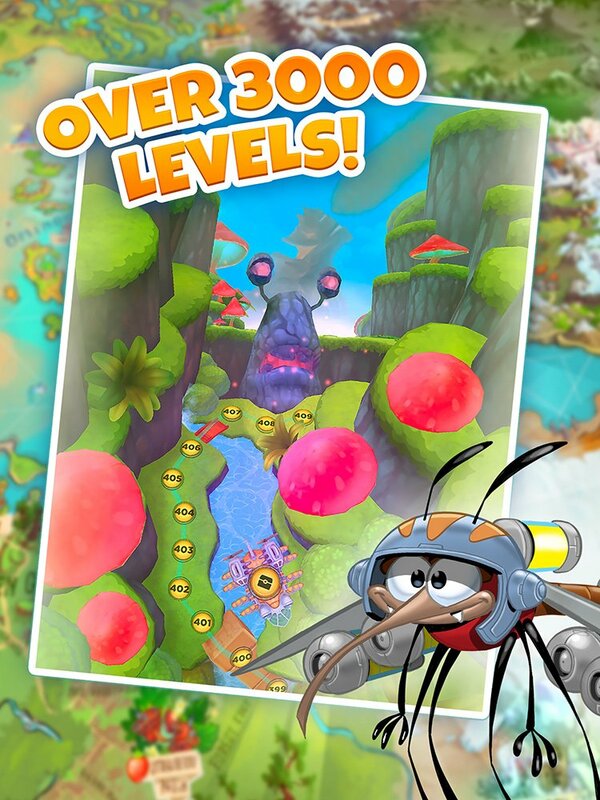 Best Fiends, a game that we've covered on SuperParent before, is engaging and offers great value. What is Best Fiends all about? 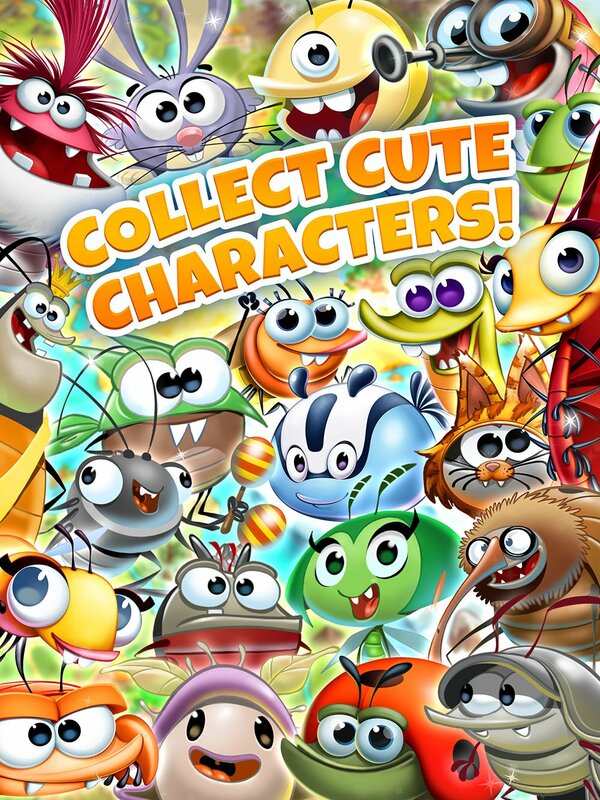 Best Fiends is a color-matching free-to-play puzzle game set in the tiny insect universe of Minutia. Your goal is to defeat the villainous Slugs of Mount Boom by tracing lines of same-colored tiles. You can connect vertically, horizontally and even diagonally. The longer the line that you create, the more damage you deal to the slimy enemies. Helping you out are the Fiends: a collection of cute looking bugs, critters and insects, who all fall into similar color-coded categories. Different Fiends offer unique power-ups during gameplay, allowing you to extend lines and destroy adjacent tiles, scoring higher and matching more lines. You have five different Fiends -- one of each color-- in play at a time, with the ability to level up and evolve to make them more powerful and more fiendish! Is it fun to play? Best Fiends is definitely fun to play. You quickly learn how to use all sorts of connections to chain the best lines, and it’s immensely satisfying when you string together a massive number in an amazing “slugmageddon” hit. You’ll often have multiple objectives to meet in each level, ranging from simply clearing set numbers of tiles of specific colors, to destroying crates or collecting items by clearing the tiles next to them. It takes careful strategy to beat the later levels, but no matter the challenge, it’s never frustrating. This is why Best Fiends is a perfect game to play together with your kids. It rewards sharp thinking and careful planning, making it much more than just a mindless distraction. Your little one’s brain will be getting a genuine workout! They’ll also love the collectable Fiend characters, who are all gorgeously designed with different evolution stages. The game’s universe is bright and colorful, and each Fiend has a real personality, nickname and backstory. You can dig even deeper into Minutia’s storyline through animated shorts in the app’s video center, and the quality of these is superb -- on par with top-level CG movies. High production value is apparent in every corner of the app, with levels that develop through distinctive and exciting themes, expressive cartoon visuals, and catchy, memorable music. As well as being a blast to play, it’s a game that always looks and sounds amazing. How engaging is the game to play? There are over 3000 levels to beat, with more being added all the time. That’s standard practice for games of this type, of course, but Best Fiends keeps adding bonus gameplay in places you wouldn’t expect. There’s always new challenges being released, rewarding players with Bandit Slug encounters as they advance through enough levels, delivering special seasonable collectables or hiding secret items around the central map screen for eagle-eyed players to tap and collect. There’s also Fiend of Fortune, a wheel-spinning bonus game, which dishes up even more freebies with every ad-supported spin. It’s not a game where you’ll get stuck for long, thankfully. 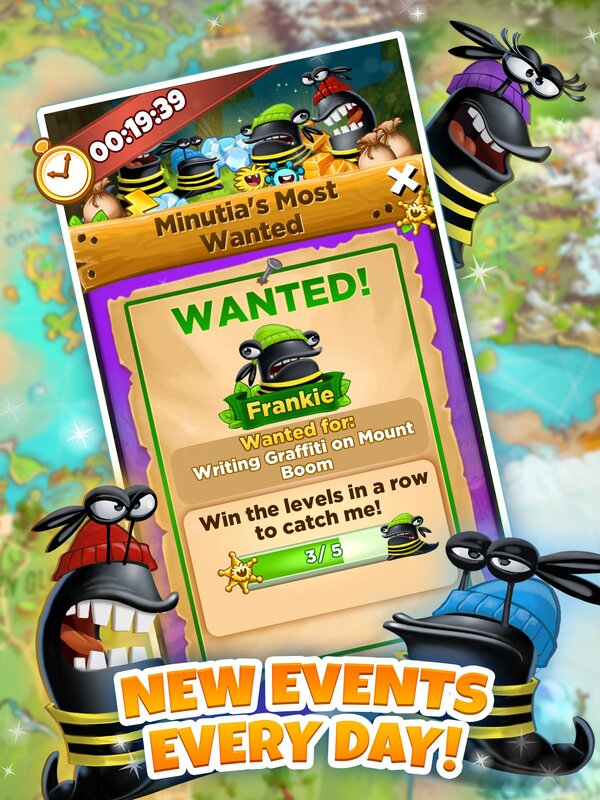 Being able to power up and evolve your Best Fiends characters means that even the trickiest level can be conquered, and until you do, there are lots of other activities and events to speed up the process. Best Fiends has three main currencies. There’s the energy you use to tackle levels, which recharges over time, while gold is the premium currency, with diamonds also helping along the way. For example, these can be used to nab more “Meteormites” -- the cute little guys needed to evolve your characters. Unlike lots of other free-to-play games, though, Best Fiends is very generous with topping up these extra currencies for free. The game gives you free gifts for playing daily, you earn materials for beating levels and can get even more from the Fiend of Fortune wheel, which offers free spins regularly. You can also connect on Facebook and send resources and gifts to your friends and family. In fact, it’s entirely possible to play the game without ever needing to spend a dime, and while the app does promote sales and offers in its store, the gameplay never forces you into situations where a purchase is the only way forward. It’s a game you can let your kids play, safe in the knowledge they won’t be pressured with any hard sell (and no surprise charges on your credit card). So, would you recommend Best Fiends? Absolutely! 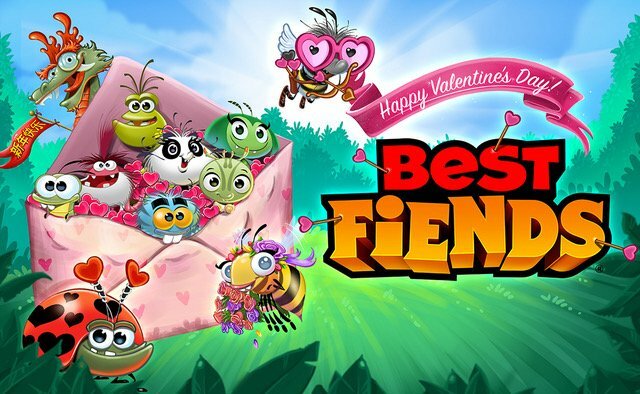 Best Fiends has been highlighted by both Apple and Google for its superior quality, the UK Guardian newspaper called it one of the top 10 iPhone games, and it was nominated for a People’s Choice award at the Webbys. Not to mention, the game has over 70 million players. But even if critical acclaim and popularity doesn’t sway you, the gameplay is deeper and more rewarding than most puzzlers, and it’s ideal for playing together as a family. The game also works when there’s no Wifi, making it perfect for long journeys. Kids will love the adorable critters and fun cartoons, and there are always new features or free giveaways that keep things interesting. In a puzzle app landscape full of competing titles, all chasing downloads and payments, Best Fiends is one that feels like it was designed with family in mind.